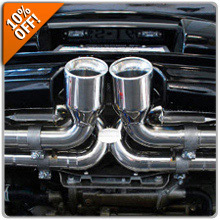 10% Off Fabspeed Exhausts for Porsche! For a very limited time, we're offering fantastic savings on high-quality exhaust systems from Fabspeed Motorsports. Enter promo code FAB10 during Checkout where it says, "Have a Promo Code? Apply it now." Click HERE for Fabspeed Exhausts!